We are living in an age of transition. The age of Christianity has not ended, but rather an age of Christianity. Christianity did not come down from above – it has been continually shaped by times and circumstances in which the people of the time have had to make hard decisions. We have entered an age of pluralism. Our society consists of a plurality of worldviews, some religious, some not. Religion has largely become a matter of personal choice. Societies have become secular in the sense that their identity is no longer based on religious values. And there has been a shift in society from ‘we’ to ‘me’. Young people are not necessarily seeing their lives in terms of a ‘vocation’, and intention to serve the community. We might berate the fact that there are fewer vocations to the priesthood and religious life, but this is part of a pattern. We will soon experience a need for more teachers in schools. We are already seeing problems in health services with a lack of nurses and doctors. And a new phenomenon is occurring which we call “The New Atheism” – people who do not say outright that there is no God but who are living their lives as if there were none. To be a genuine Christian in a pluralist society is to make a definite stand. 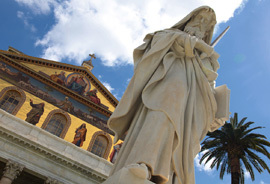 The Church may for a time grow smaller in numbers, as was predicted at the time of Vatican II, but this will make the Church stronger in the long run. Only a totally committed Church will attract others, as happened in the first century. Pope John XXIII prayed for a new Pentecost. Pentecost is associated with fire. We can see the saintly Pope’s prediction fulfilled in our own time as the Church is purged of scandal and apathy. It is painful, but hopeful, as we remember Jesus’ words at the Last Supper: “My Father is the vinedresser. Every branch in me that bears no fruit he cuts away, and every branch that does bear fruit he prunes to make it bear even more”. The ever-practical Saint James saw the Church as first fruits: “By his own choice (God) made us his children by the message of the truth so that we should be a sort of first-fruits of all that he had created” (1:18). The first part of the harvest that was gathered, or the first offspring of the flock that was born, were offered to God by the Israelites as a recognition that the whole harvest or the whole flock was a gift from God. In reality, they were consecrating the entire harvest or the entire flock. This is how we should see the Church, small as she may be, in relation to the world. By our very presence in the midst of the world and its affairs we are consecrating the world to God. This makes us a priestly people. I have frequently told the daily Mass crowd in the various parishes I’ve ministered to, that they are the most important group in the parish, for each day they bring the entire parish with them to the Eucharist. God has not lost the plot. He hopes we haven’t either. How is your life of faith going? Or to put it another way, how is your relationship with God going as you live it out through the beliefs and practices of our Catholic tradition? This is the question that the universal Church asks us to consider in this Year of Faith. This ‘year’ began on 11 October 2012, the 50th anniversary of the opening of the Second Vatican Council, and will conclude on 24 November 2013, the Solemnity of Christ the King. From this invitation we are invited to see that faith is more than an assent to beliefs and practices, more than simply ‘following the rules’. At its heart is our relationship with Jesus, the Risen One in whom we believe, as St. Paul wrote “I know him in whom I have believed” (2 Tim 1:12). The development of this relationship is at the heart of our life of faith and the way in which we invite and form others who seek to enter our Catholic community. As we know however, faith in someone cannot be totally separated from our knowledge about them. We have faith in those around us because we know who they are, what they stand for and how they behave. Our love for them and knowledge about them go hand in hand to strengthen the faith we have in who they are and in the faith that they themselves have and believe. Likewise, “the faith which is a personal trust in the Lord and the faith which we profess in the Creed are inseparable; they focus on each other and they require each other. There exists a profound bond between the lived faith and its contents.”3 Therefore, this Year of Faith invites us not only to consider our relationship with God in Jesus, but also our awareness and understanding of our Catholic beliefs. 1. Read and reflect upon Pope Benedict XVI’s Apostolic Letter, Porta fidei. You might like to do this as part of a small group reflection process. 2. Participate in the Eucharist more regularly. 3. We live our relationships – find new ways to express your faith through action within the parish or wider community. 4. Utilise the Awaken: Advent & Christmas Reflections material as either a personal reflection time or with family or community. 5. Read and reflect upon the Catechism of the Catholic Church and the documents of Vatican II. 6. Offer prayer for a deeper relationship with Jesus and understanding of our faith by all within our Catholic community. 1 Benedict XVI, Encyclical. Letter, Deus caritas est, 25 December 2005, n. 1. 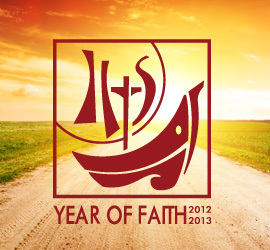 2 Congregation for the Doctrine of the Faith, Notes with Pastoral Recommendations for the Year of Faith. 3 Congregation for the Doctrine of the Faith, Notes with Pastoral Recommendations for the Year of Faith. 5 Congregation for the Doctrine of the Faith, Notes with Pastoral Recommendations for the Year of Faith. – and building on the significant work in 2012 in training and formation for new and renewed models of liturgical ministry, our major focus for 2013 is on the development and launch of the School of Liturgical Ministry (Action B.2 from the Diocesan Pastoral Plan). A structured approach to liturgical ministry formation will be established, with boot camp courses in liturgical spirituality for everyone involved in liturgy, specialist ministry initial training courses, as well as ongoing formation courses for each ministry. We will utilise much of the course materials developed in 2012 and continue to offer PSALMIST scholarships. In addition, the Diocese will offer a range of Certificate level studies in liturgy and music. Formation and training in ministries not covered during 2012 will be offered in 2013. The Diocese will continue its partnership with the Australian Pastoral Musicians Network and offer workshops on Copyright, another running of the popular “Selecting Music for Mass” workshop and a session for composers. A forward schedule will be included in the next edition of Faith & Life e-newsletter. This month’s article on upcoming Music Selections for Mass includes recommendations for February and March 2013, including the season of Lent and the Triduum. 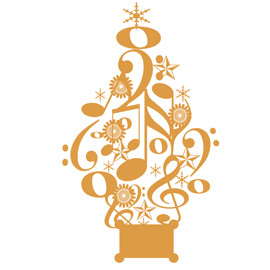 I hope you have a joyful and blessed Christmas. Lent begins early in 2013! As Ash Wednesday begins 13 February 2013, we want to ensure that you have as much time as possible to make your Lenten preparations. 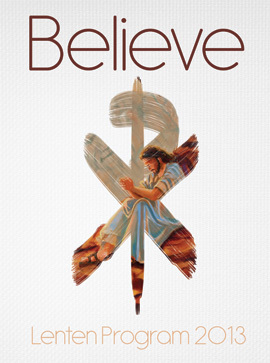 With that in mind, we are delighted to announce that the Diocese of Wollongong is publishing BELIEVE: Lenten Program 2013 – a 44 page program designed as a six-week Lenten resource for small groups, prayer companions, staff reflections, families and individuals. Why believe in God? How do I believe in the midst of so many contrary signs in today’s world? Through this year’s Lenten Program, we are invited to renew our trust in God’s faithfulness and God’s merciful love. This resource will both affirm us and surprise us as we rediscover that our efforts to believe are embraced in the far greater belief and love of our God for us. During this Year of Grace and Year of Faith, let us take up the opportunity to deepen our belief in the goodness of our God. Fr Graham Schmitzer offers engaging weekly Scripture commentaries accompanied by enlightening spiritual direction from Sr Hilda Scott OSB . Each week also contains challenging reflection questions as well as some practical lenten tips by Fr Graham. The whole is offered within the stunning artwork of Sydney-based artist, Nelson Colo Matoma. A Double-CD resource ($8.00) is also available to accompany the program that offers narrations of the Scriptures and commentaries as well as a beautiful sung closing prayer and mantra written by Paul Mason. The CD Resource will also be available for free download on this page in mid-January 2013 (www.lent.dow.org.au). As always, we have attempted to keep prices low (from $4.40) to ensure our resource can be made widely available for local communities. Please find below an order form as well as a sample from Week Four of the program. 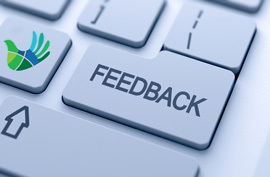 Delivery of the Program and CD Resources are expected in the third week of January. If you live outside Australia and would like to order Believe, please contact Jane Edwards at jane.edwards@dow.org.au or +61 2 4253 0899 before filling out the order form so that we can advise you of the shipping costs. Greek Yogurt and a crumpet. What inspired you to become part of the Diocesan Pastoral Council? My experience 10 years ago on the last Diocesan Pastoral Council left unfinished business and I believed that I still had something to offer. “Alive” – Happy – Content. What is the role of the Chairperson of the Diocesan Pastoral Council? In conjunction with members of the Parish Services Team: set the agenda for meetings, ensure that the meetings are kept flowing and timely and that all members have the opportunity to participate in discussion. To follow up on outstanding matters and action plans. My wife Veronica and my children Peter, Joanne, David and Megan. What has brought you the greatest joy and most challenge in your role so far? Greatest joy: Establishing rapport and harmonious team. Greatest challenge: prioritising the agenda for meetings. Through the love of my family. What inspires you in your broader ministry within the Church? The opportunity to participate in the continuing development of my own faith journey. The Church provides hope to all people who are prepared to put their trust in Jesus Christ. The Holy Spirit will always be present in their lives and through Jesus Christ the Church will respond to the many challenges it faces. In this issue we begin a 10 part series looking at the "Ten steps to strengthen and Support Families" by the Australian Catholic Social Justice Council. Balancing the demands of being with family and working to make ends meet can often be a challenge. However, as we know, good family relationships can go a long way to providing the strength and support that each of us need to face life’s ups and downs. So how might we strengthen these ties? Plan to have some time when the family is together and engages in a shared activity like cooking a meal, visiting relatives, going to a park, or organising the photo albums. Family time need not be private or expensive to be valuable. Integrating leisure time with some service to others not only builds up the family but contributes to the community and brings a sense of satisfaction. Do some small jobs for friends or neighbours. Join a parish or community group that supports vulnerable people, particularly young families, the elderly or people with disabilities. Youth Ministry ESSENTIALS is an exciting, intensive training program open to anybody wishing to further develop their skills and knowledge in their ministry with young people. important ministry of the church. The program itself is a tool, a developed series of sessions to assist you in developing yourself as a minister with young people. Much of the learning will occur with the interaction between participants over the course of the program. Cost of the program is $100 if registered before 23rd December or full registration of $125 by the middle of January. For Registration and Enquiries contact Loretta Brinkman or phone Loretta on 4253 0809 in 2012 or 4253 0900 in 2013.